In the aftermath of the most recent events that have taken place in Libya and waiting to know the next political developments, EER provides a brief overview of the major Islamist forces in the country — supported mostly, though not exclusively, by Turkey and Qatar. Libyan Islamist landscape is strikingly complex. Islamists operating in Libya now span the ideological spectrum, from those who accept some form of democratic political process to violent jihadists ideologically and logistically linked to Al-Qaeda, from the Muslim Brotherhood to smaller, Salafi groups and militias. The Libyan Muslim Brotherhood (LMB) and those organization in its orbit play a significant role in the political landscape. After decades underground, the LMB arrived on the political stage through popular elections in 2012 and 2014, operating through the Justice and Construction Party (Hizb al-Adala wal-Bina), which revealed that the LMB had relatively little support among the Libyan people. In an ethnically and regionally divided country, the entire Islamist spectrum, albeit from different angles, believed that only Muslim identity could be the unifying agent and that what Libya needs was a comprehensive Islamic program. It was in this context that the LMB pursued a core narrative of being the only true representative of Islam and the only meaningful alternative to chaos. But it transpired that the popular support for Islamism was limited and highly fragmented. As Inga Trauthig appropriately highlights, this is partly because, since 2011, “Ikhwani” has become a popular negative catchphrase to indicate an Islamist movement with hegemonic ambitions to conquer Libya, damaging the multifaceted Islamist effort to gain popular support. The other main reason for the Brethren’s weakness is that it was so harshly repressed by the regime of Muammar al-Qaddafi, and despite trying to organize underground the Brotherhood was unable to formulate a significant network within the mosques and charities in Libya, as it has in most Arab countries. In Libya, on the contrary, the majority of mosques were controlled by Salafi groups. The Libyan Islamic Fighting Group (al-Gamaa al-Islamiya al-Muqatila bi-Libya, LIFG) was a Sunni opposition group, which first announced itself in 1995, accusing Col. Qaddafi’s regime of apostasy and stating its goal as the overthrow of his regime and the establishment of sharia law in the country. Similar to al-Jihad al-Islami in Egypt, LIFG had begun years before it proclaimed its existence, starting out as a clandestine underground jihadist movement. Many LIFG members had been part of the “Arab Afghan” contingent that had helped drive the Soviet Union out of Afghanistan in the 1980s, and it was those who returned home — and escaped the regime’s dragnet during the 1989 crackdown — who formed LIFG later in the 1990s. Between 1995 and 2010, Abdelhakim Belhaj was the emir (leader) of the group, but was arrested in 2004 in Malaysia and jailed in Libya. After being released in 2010 and following the formal dismantlement of the LIFG, Belhaj served as a brigade leader for the National Transition Council in Tripoli. After Qaddafi’s fall, Belhaj became active in politics, and in 2012, ran as a candidate for The Nation Party (Hizb al-Watan). Sami al-Sadi was the spiritual leader of LIFG for the whole period of its official activity (1995-2010). In 2009, Al-Saadi was charged with attempting to overthrow the government and sentenced to death but, as with Belhaj, he was released in March 2010 following negotiations with Qaddafi’s son, Saif al-Islam, after they had publicly renounced their efforts to overthrow the regime. Shortly after the uprisings against Gaddafi began in February 2011, he was again arrested and detained with his son until August 2011, when rebel forces captured Tripoli. In the second half of the 2000s, Saif started to consider the opportunity of leading a process of collective disengagement. On April 9, 2008, the Libyan regime released at least 90 members of LIFG, inaugurating two years of secret talks between LIFG’s leadership in jail and the Qaddafi’s regime. In September 2009, LIFG released the new code for jihad, a 400-page doctrinal document, Corrective Studies in Understanding Jihad, Enforcement of Morality, and Judgment of People. After the 2010 release, Saif heralded a new era of ‘‘national reconciliation’’ in Libya. “The enemy of yesterday is the friend of today,” he said. “It was a real war, but those brothers are free men now”. During the turmoil that began in 2011, members of LIFG in Ajdabiya — north-east Libya — declared that the group would support the revolt against Qaddafi’s rule, and changed the group’s name to the Libyan Islamic Movement. Those LIFG veterans who entered politics following the fall of the Qaddafi regime were divided into two main branches. The second one was more ideologically conservative: Al-Umma Al-Wasat, founded by Al-Sadi. Al-Umma Al-Wasat seeks to establish sharia law in Libya and is alleged to have always maintained some connections to Al-Qaeda. The quietist Salafi strain in Libya is largely composed of followers of Shaykh Rabi bin Hadi al-Madkhali, who shuns participation in politics altogether, whether that is through parliamentary democracy or armed resistance, in favor of strict loyalty and obedience to the rulers. Naturally, many Middle Eastern governments, including Qaddafi’s, have found Madkhalis useful at various points. Even during the uprising in 2011, Al-Madkhali urged his followers to avoid participation in the rebellion and to stay at home, lest they contribute to fitna (chaos and sedition). While many Madkhalis stayed out of the anti-Qaddafi uprising, some participated in the battle for Tripoli in the summer of 2011 and in the years since many Madkhalis have made terms with General Khalifa Hiftar. Gen. Hiftar and his allies often describe their campaign to take Tripoli as a secular one intended to defeat Islamist terrorists. In reality, “secular” has very little meaning in Libya when it comes to the realistic contenders for power. 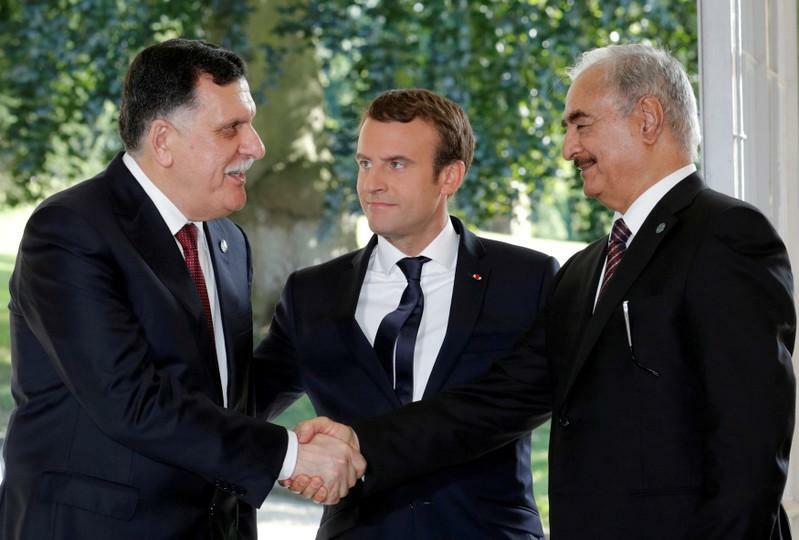 And while the elimination of the recognized government in the Libyan capital might bring a short-term sense of unity and stability to the country, it is unlikely to provide a long-term answer to the turmoil that has overtaken Libya since 2011.